Woe to those who call evil good, and good evil; Who put darkness for light, and light for darkness; Who put bitter for sweet, and sweet for bitter! 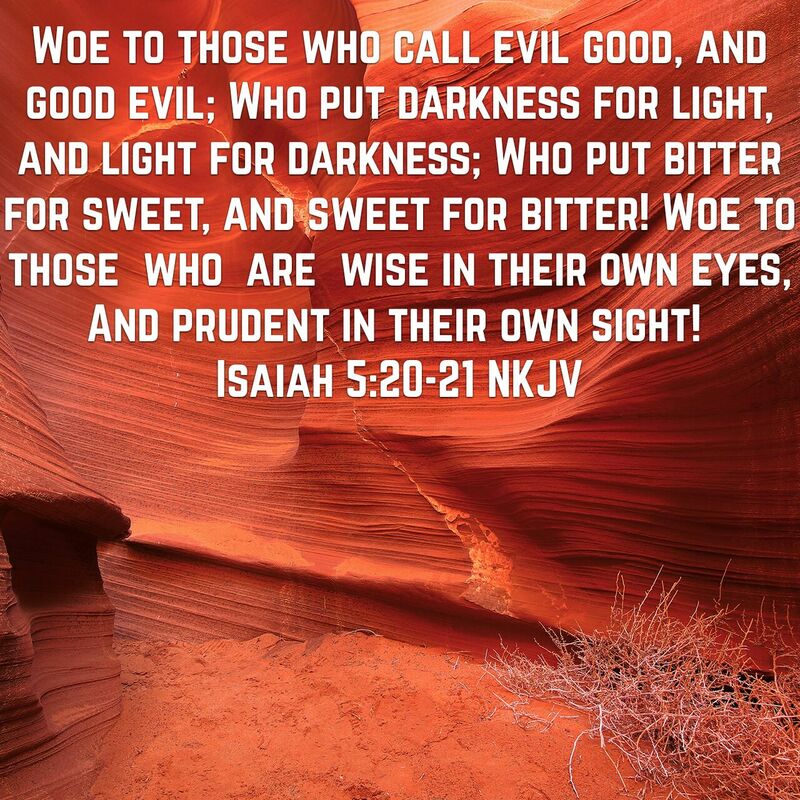 Woe to those who are wise in their own eyes, And prudent in their own sight! This entry was posted in Jesus on April 27, 2016 by Unashamed of Jesus.